With so many departments to oversee and projects to track, many businesses (big or small!) make shipping packaging mistakes without even realizing it. Left uncorrected, these mistakes can turn customers away and drive up shipping costs. 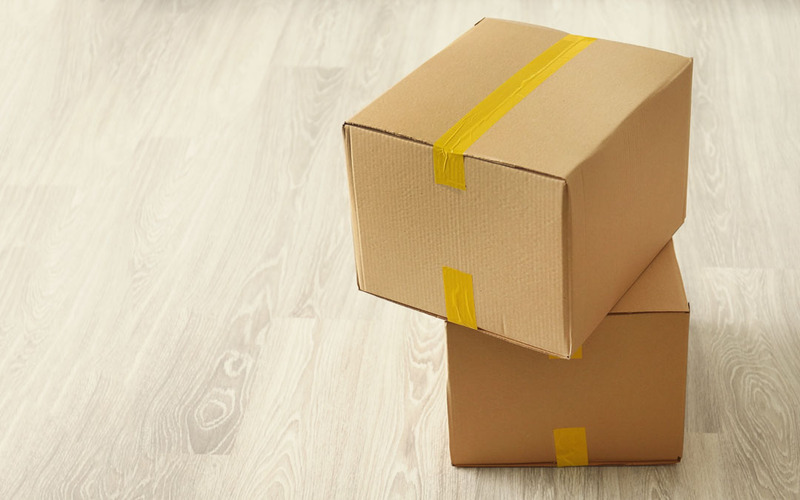 Let’s examine 4 of the shipping mistakes businesses often make, and how they can be corrected with the right packaging choices. It’s common practice for a business to ship products to customers in the exact same shipping packaging it arrived in (by simply placing their shipping label over the original one, and sending the customer order on its way). The problem with reusing shipping packaging is that it’s likely lost integrity during its shipping time on a pallet. While it initially protected products from shifting or colliding with other palletized products, it’s not necessarily an effective choice for shipping those products individually. Custom orders should be repackaged in uncompromised, appropriate shipping packaging before being shipped out. This means that, at the very minimum, a business should use a new corrugated box. This helps ensure that customers receive their orders safely, and the product travels securely. Incorrectly-sized boxes can be a huge annoyance for customers and a costly mistake for businesses. Forbes recently noted the opportunity for businesses to capitalize on this error with the statement, “the rise of excessive packaging that prioritizes efficiency over the customer experience and sustainability can be a unique opportunity.” Corrugated boxes, that properly fit the products they contain, create a better delivery and unboxing experience for customers. Those same correctly-chosen boxes help prevent damage to customer orders—less room to move around, while also properly cushioned, means products encounter less potentially damaging moments during transit. When packaging up a product, it’s important for businesses to be sure they’re properly taping the shipment. Incorrect or ineffective taping can lead to a box opening while out for delivery. Businesses can help mitigate this risk by using high-quality packaging tape or reinforced water-activated tape on their customer orders. The H-tape method, which entails sealing a box by applying tape in the shape of a capital letter H (thereby covering up all openings), is particularly effective at creating a strong and secure package. Businesses looking to use custom packaging can incorporate seemingly minimal touches to create a smart and unique look. Some examples include custom packaging tape, custom labels or stickers, or even custom tissue paper—and businesses can easily start out by using just one. Making it even easier to get going, these customized items need only include the business’s logo and brand colours. This is all it takes to get a business on the road to creating a memorable customer experience. It doesn’t take much for businesses to review their current shipping practices and determine how they can improve their packaging. These mistakes, while commonly made when packing customer orders, can cost businesses money, reputation and most importantly, customers. To be successful and competitive in today’s market, utilizing effective shipping methods and shipping packaging is absolutely key.